Other than digging, one of the most frequent jobs performed by hydraulic excavators is lifting. Understanding your machine’s lifting capacity helps you to lift and move loads safely, and knowing what to check before you lift can help prevent injuries and downtime. Hydraulic capacity — the point at which the excavator runs out of hydraulic power or stalls. Tipping capacity — the point at which the excavator begins to tip or lift off the ground. 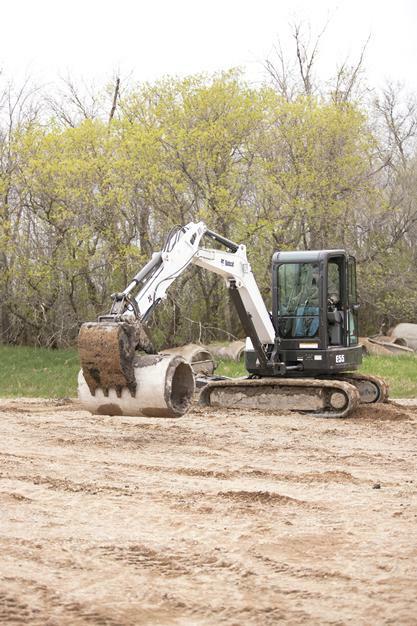 Manufacturers determine how much weight a particular model and configuration of an excavator can safely lift at various heights and distances from the centerline of the machine. Based on this information, they create lift charts, which are printed in the machine’s Operation and Maintenance Manual or posted within sight of the operator — such as on the canopy, cab roof, hood or window of the excavator. It is extremely important to understand the excavator lift chart before getting behind the controls. Before you start to lift a load, you need to consider many factors, including the condition of the machine, the condition of the surface beneath the excavator, how to move with the load and even the weather. Ultimately, the operator is responsible for all jobsite- and lift-related conditions, and must respond to changes in those conditions that could pose a hazard. Ensure that the operator is familiar with the excavator and all of its controls prior to performing any lifting application. The excavator should always be on a firm, level and uniformly supporting surface. Do not attempt to lift on soft or uneven ground or slopes. Be sure the excavator has not been modified in any way and is well maintained. Always lift squarely over the side or over the end of the machine. If the surface area of the load is large enough, wind gusts can create side load conditions. Tag lines held by workers on opposite sides of the load can help prevent side loading caused by wind gusts. Keep the lift point directly over the load. The load can become unbalanced if the line is twisted and starts to rotate. Use short slings to prevent excessive load swing. It is important to remember that an excavator’s lift capacity can vary dramatically depending on whether you are lifting over the blade with the blade down, over the blade with the blade raised, or over the side of the machine. Do not attempt to exceed rated lift capacity. 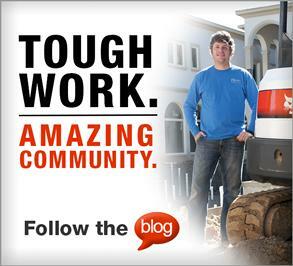 Excessive loads can cause tipping or loss of control of the excavator. Always align the boom with the forward direction of machine travel. Maintain this boom position when turning the machine. Turn only when necessary, at the slowest speed and at a wide turning radius. Use the shortest lifting distance possible. Provide tag lines to prevent the load from swinging. Swinging can cause a change in radius, which could exceed the load chart or cause a tip-over condition. Do not increase swing radius after the load is lifted. Govern travel speed to suit conditions and avoid sudden starts and stops. Never lose sight of the load. If you are not able to see the load position clearly, you must have a signal person to guide movement of the machine. When working with a signal person, you must follow directions from him/her only. 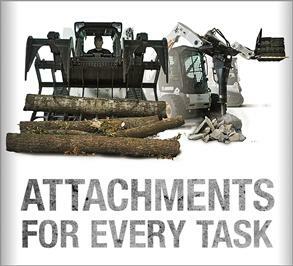 Carry the load as low to the ground as conditions permit and as close to the machine as possible. You must allow for movement of the load in all directions. Keep all guards in place and windows and cab doors closed. Never leave the operator’s seat with a load suspended. Before leaving the machine, lower the load to the ground, shut down the engine and engage the control-locking device. Finally, if you have any questions, always consult the excavator’s Operation and Maintenance Manual. New equipment safety features can’t replace proper training. Educate your operators on the proper operation and maintenance of compact equipment with these six tips. Compact excavators take advantage of distinct features to deliver maneuverability, power, lift capacity, versatility and reach. 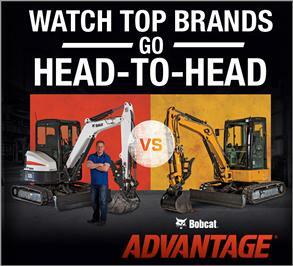 Find the compact excavator size that’s right for you. Here are some tips for what to consider before buying.